With 970 exhibitors from 26 nations and 38,500 trade visitors from 104 countries, the world's leading trade fair broke all previous records. 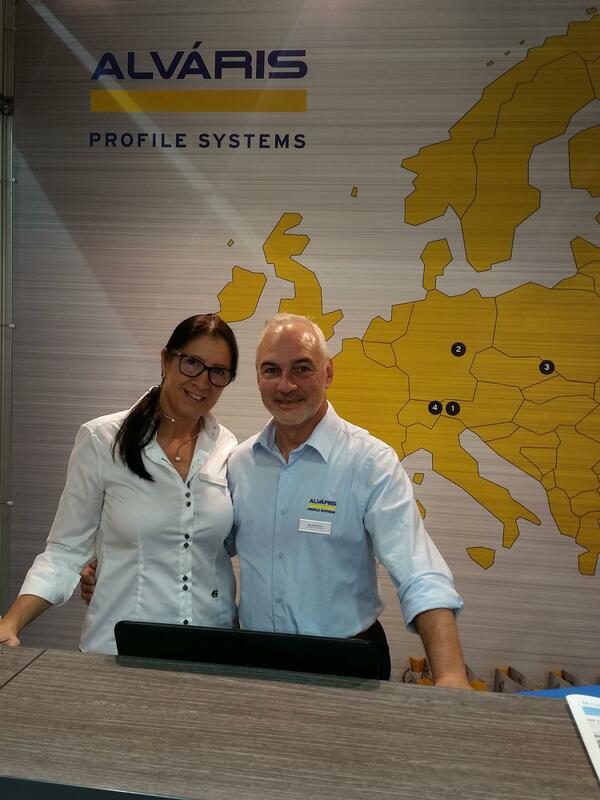 "We can affiliate our track record to the organizer," says Manfred Filzmaier, co-owner and managing director of ALVÁRIS Profile Systems. "We have presented ourselves again as a group, documenting our international strength." 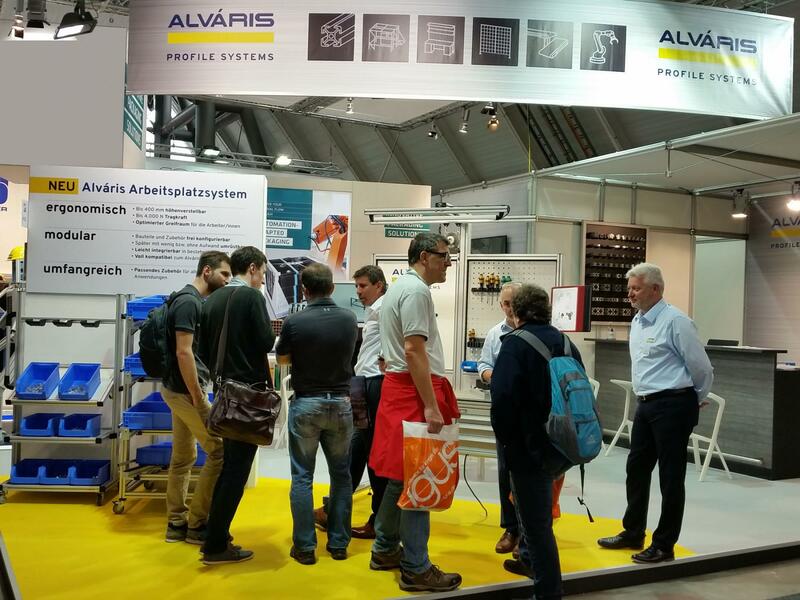 The ALVÁRIS subsidiaries from Austria, Germany, the Czech Republic and Switzerland invited their customers to the booth in Stuttgart. ALVÁRIS mainly focused on the presentation of the ergonomically designed workplace system. 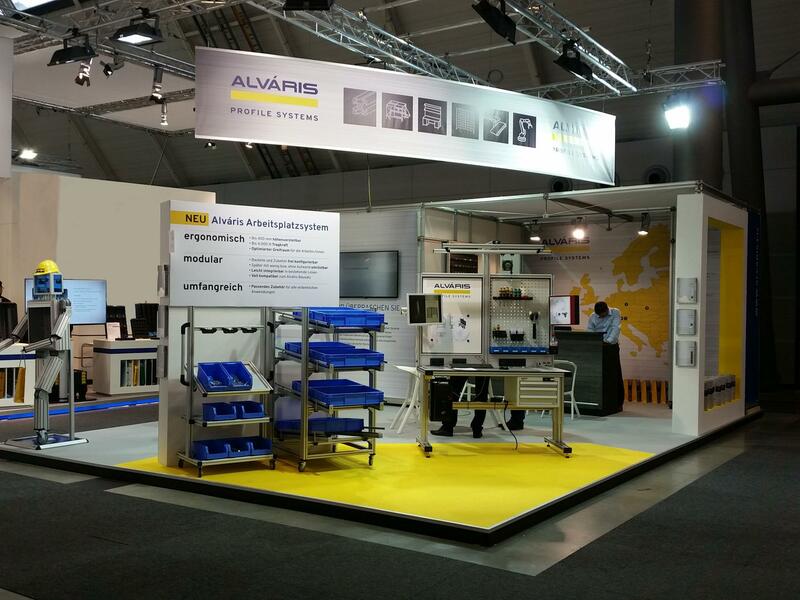 Conveying systems, automation solutions and protective enclosures do complete the ALVÁRIS range of services. 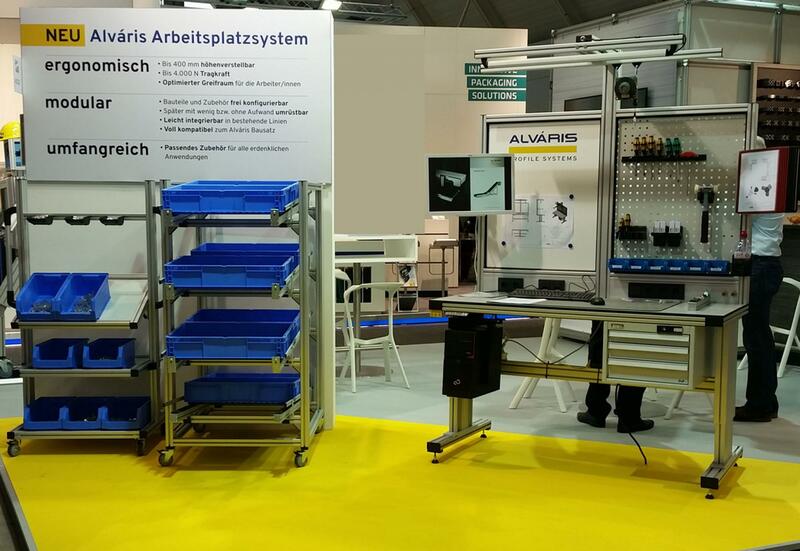 According to Marco Rosenbaum, sales manager for Germany, the trade fair was very successful for ALVÁRIS. Concrete offers may be issued to interested and prospect customers in the areas of ​​workstations, profile technology and protective fences. 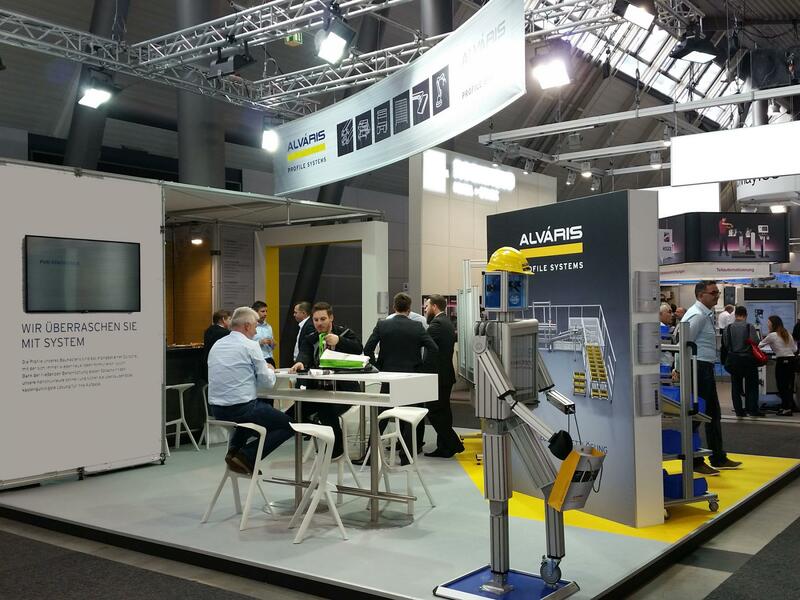 This year, the visitors were able to get a clear picture of the rapid development of ALVÁRIS as a provider of complex solutions in the area of ​​aluminum profile technology. 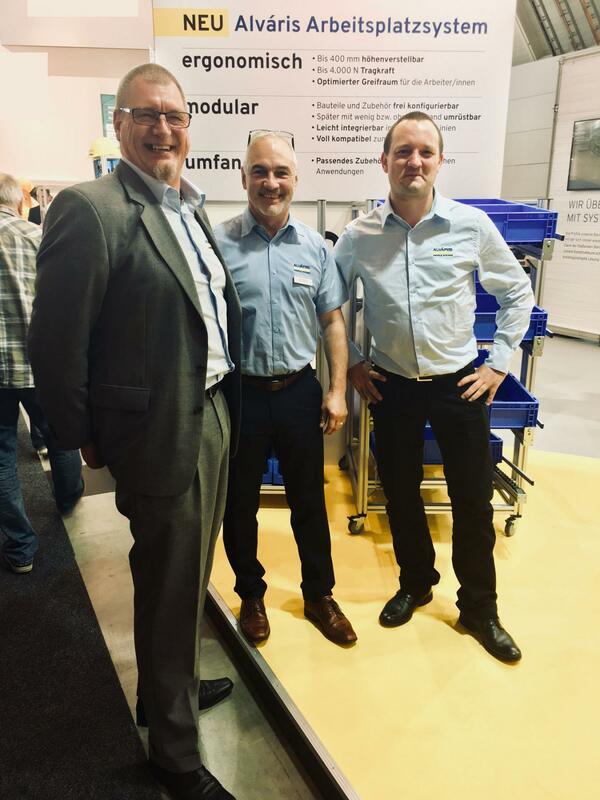 Manfred Filzmaier is very satisfied with the joint exhibition appearance and the intense conversations with interested prospect and existing customers. The forecasts on the ALVÁRIS Group's sales and earnings performance are as well extremely positive.